Our bouillon lifts and adds depth to all soups, stews, casseroles, risottos, sauces and gravies. Use it as a simple seasoning for couscous, quinoa, rice and other grain dishes, or sprinkled into a dhal, or o­n top of roasting vegetables. 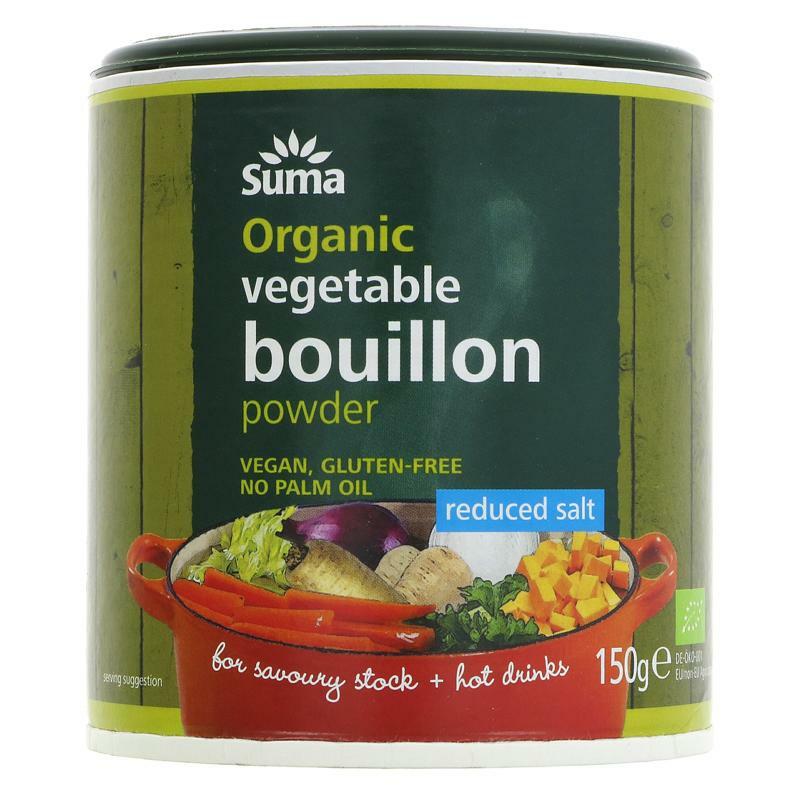 The whole of our bouillon range is organic, vegan, gluten-free and contains no palm oil. Maltodextrin* (maize*), starch* (potato*, maize*), sea salt, vegetables* 14% (carrot*, o­nion*, parsnip*, pumpkin*), concentrated vegetable juice* (carrot*, o­nion*), yeast extract, herbs* (parsley*, lovage leaf*), spices* (turmeric*, lovage root*, fennel seeds*), sunflower oil*, garlic*. *denotes product of organic farming. no artificial flavour enhancers or stabilisers.